TME has extended its offer to include single-stranded cable sets for hobbyists. 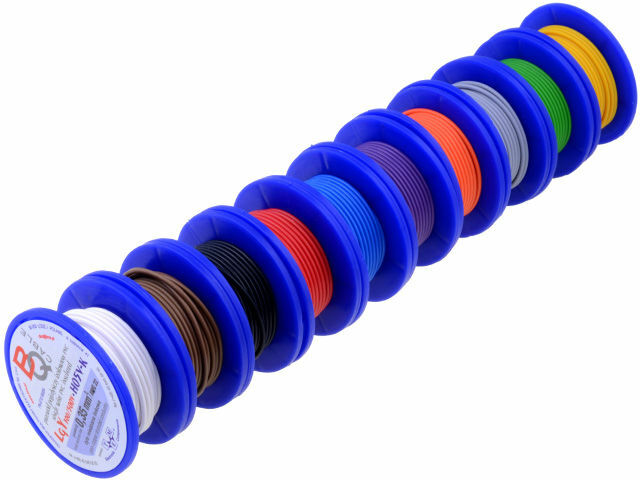 These sets are each made up of 10 rolls of LgY and TLY cables of lengths 5 m or 10 m. The colours of the strandeds in each of the sets include: white, brown, black, red, blue, purple, orange, grey, green and yellow. Currently available diameters; 0.12mm2 and 0.22mm2 for TLY cables and 0.35mm2, 0.50mm2 as well as 1mm2for LgY cables.